He is the latest addition to Toni’s household. He spent the summer and fall as a garden boy ,but now he’s starting a new life as an inside cat. At the moment he is recovering from surgery, but he should be up and running with Scruffy and Sally very soon. 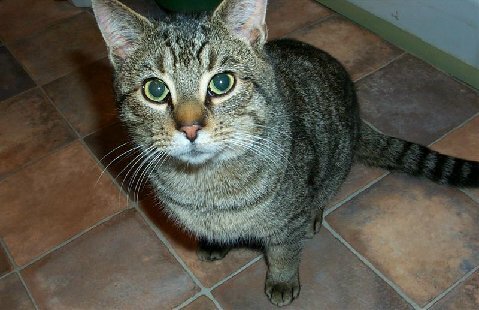 Scruffy has raised several garden cats and will teach Andy all the tricks of being a house cat! We’ll keep you posted on his progress! He is one lucky boy to land in Toni’s house.